“I used to have such thick, beautiful hair. Now, it’s so thin and brittle!” “Handfuls of hair come out in the shower and I’m just so upset” “Is it bad that I take pictures of how much hair comes out each day?” “I’m afraid to comb my hair because more might fall out!” “Other people think I’m crazy and think that my hair looks fine, but I can notice a difference.” Have any of these thoughts or statements ever crossed your mind? If so, you’re not alone. Many women deal with PCOS hair loss. It is perhaps one of the most difficult PCOS symptoms to deal with, emotionally. Because despite what doctors, trichologists and your friends or family might tell you, it is not pleasant and you need to know how to fix it. I want you to know that there is hope and help. We’re explain why it happens and how to deal with it…ALL of it’s side effects. PCOS is an endocrine disorder and therefore because of the hormonal imbalances caused by PCOS, many women deal with heightened levels of androgens or testosterone and dihydrotestosterone (DHT). High levels of these hormones in women with PCOS cause hair loss, specifically DHT. If you’re thinking that testosterone is a male hormone, you’re right. Women are supposed to have it in small amounts. 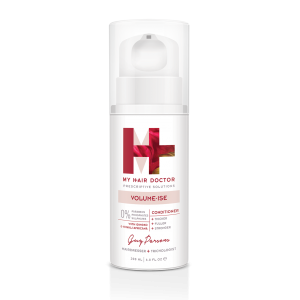 In excess, androgens, specifically DHT will latch onto hair follicles and begin to affect the hair, eventually to the point of hair loss. 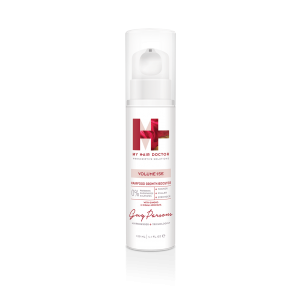 DHT also causes the follicle to stop producing new hair, essentially a DHT clogged follicle is the result. This is called androgenic alopecia. 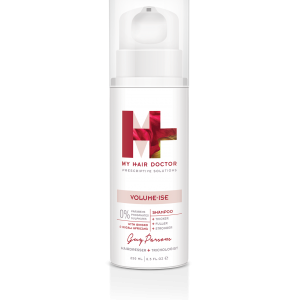 The bottom line here is that excess testosterone converts to DHT and is responsible for hair loss and makes it difficult to regrow hair in women with PCOS. I recommend that all women get blood levels checked specifically for these hormones. With that said, it is possible to test and have a normal range and still feel and see the results of a DHT or testosterone excess. No, you’re not going crazy. Good news is that there is help. Now that we know how the hormones relate to PCOS hair loss, let’s talk about other contributing factors. It has been studied and found that the most effective treatment for PCOS physical symptoms, including PCOS hair loss, is diet, lifestyle and exercise. A healthy PCOS lifestyle includes a proper PCOS diet, proper PCOS exercise, rest, stress management and in most cases vitamin and mineral supplementation. Any shifts in these areas cause shifts in our hormones and will therefore effect hair. Ever wonder why pregnant women have such illustrious hair while pregnant then lose it post-partum? Hormonal shifts or oestrogenic alopecia. Excess stress shifts hormones. Bad diets shift hormones. Lack of sleep shifts hormones. Exercise shifts hormones. It’s all necessary and related to PCOS hair loss. So, now that you know the main causes of PCOS hair loss, let’s get on to how you can fix it. I want to be clear and reiterate that THE BEST thing you can do for your PCOS is to begin working on a proper PCOS diet, start incorporating proper PCOS exercise and begin to properly manage your stress. With that as a foundation, I’m giving you my top 10 tips for PCOS hair loss. The short answer is that proper exercise reduces testosterone, therefore diminishing PCOS symptoms, to include hair loss. These two are lumped together because they go hand in hand. It is ESSENTIAL for women with PCOS to keep their stress levels as low as possible. Chronic levels of cortisol, the stress hormone can really have an effect on your PCOS symptoms. Do whatever is necessary to minimize stress and take time to breathe and relax. Many women see immediate improvements in their PCOS by taking this step, with hair loss stopping. It takes about 2-3 months to see the hair loss from a stressful event due to the cycle of hair growth and loss. You would think this is a no-brainer, but how many of you actually eat regularly and sleep enough? They are game changers in your PCOS. Sleep is regulated by two hormones, melatonin and serotonin. When they are disrupted by lack of sleep, your other hormones are also affected. Eating regularly will keep your insulin levels balanced and keep your hormones from being affected by drops and highs. Your daily hair routine makes a huge difference in the quality and quantity of your hair. Constantly pulling hair back or up and hair styles that aggravate the scalp should be avoided. Eliminate, perms, hair colour and bleach. Too many hair products, especially those containing sulphate and alcohol strip your hair of necessary oils to keep hair healthy and growing properly. The frequency of hair washing can also strip the hair of essential oils. Since all hair is different, experiment with the amount of time that you can go between washings. The less you wash over time, the less oil your hair will produce over time so eventually you won’t need to wash as much. When you do wash, make sure you are completing cleaning the scalp with an organic ingredient shampoo to remove DHT residue. 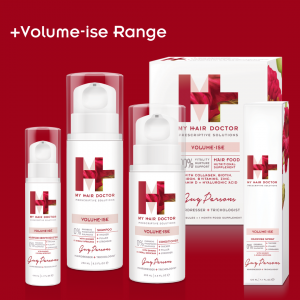 Try my volume-ise programme for optimum haircare and hair growth. 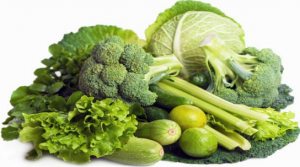 A proper PCOS diet is your primary resource for vitamins, minerals and nutrients. 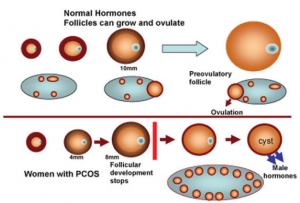 PCOS deficiencies and today’s ‘diets’ leave lots of room for supplementation. As I said before, no over the counter or prescription drugs compare to treating PCOS through diet, lifestyle and exercise. You want to ensure that you are receiving enough vitamin B, magnesium, zinc and biotin. Saw palmetto is a natural testosterone suppressant, which addresses hair loss and hirsutism because there is less testosterone available to convert to DHT. The recommended daily dosage is 320 mg daily for at least 6 weeks. It should NOT be taken during pregnancy, nursing or while trying to conceive. Biotin has long been known to assist with hair growth. 7-9 mg daily is recommended. Spearmint tea reduces testosterone and balances other hormones. 16 oz. daily is the recommended daily dosage. N-acetyl Cysteine (NAC) also reduces testosterone and has been studied to improve insulin resistance in women with PCOS. Many women who have started taking Glucorein PCOS have noticed improvements in hirsutism and hair loss because of this active ingredient. 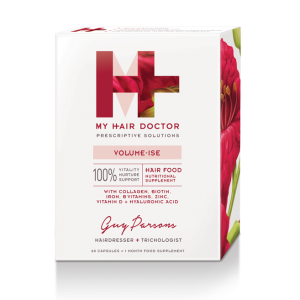 My Volume-ise programme has an excellent supplement containing all the vital ingredients to support your hair growth. The most effective way to treat PCOS hair loss is a combination of the right topical treatment and jojoba oil which is a great nourishment to improve hair quality, stop hair loss and even regrow hair. Simply warm about 1 tbsp. of oil and massage into scalp before washing as normal. Because it has been found that the best treatment for hair loss and hirsutism in women with PCOS is diet, exercise and lifestyle factors, I do not recommend other topical treatments or drug therapies such as minoxidil, Spironolactone (Aldactone) or Finasteride (Propecia) unless personally recommended. This includes birth control pills (BCPs) and all hormone therapies. The bottom line is that the risks outweigh the benefits, putting you at increased risk for high blood pressure and cholesterol, acne, blood clots and breast and ovarian cancer. Although, oestrogen and progesterone therapy CAN help with hair loss, I do not recommend it because of these risk factors. Would you rather stop hair loss/regrow hair or potentially harm yourself further? Toxins To include heavy metal toxicity, BPA, pesticides, VOCs (air pollutants) and dioxins. 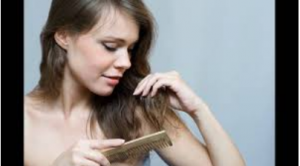 They all interfere with hormonal balance and can contribute to many adverse risks and reactions, including hair loss. Eat as clean and organic as possible, consume ‘wild caught’ fishes, use only natural cleaning products, avoid artificial food additives and processed foods, check your toiletry items and ensure they are natural and load up on vitamin D to increase your immunity. 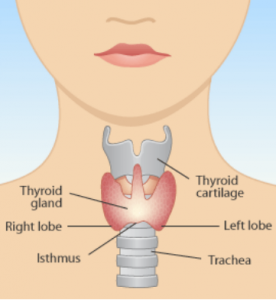 Many women with PCOS have hypothyroid (low) thyroid issues and the side effects include thinning hair and hair loss. Will My Hair Grow Back? It is possible. Being disciplined in your PCOS diets, exercise routines and lifestyle choices is the best medicine for beginning to re-grown hair due to PCOS hair loss. Following these 10 tips will improve your chances of regrowth.